General Hospital Star Matt Cohen Says Goodbye To TWO Shows! 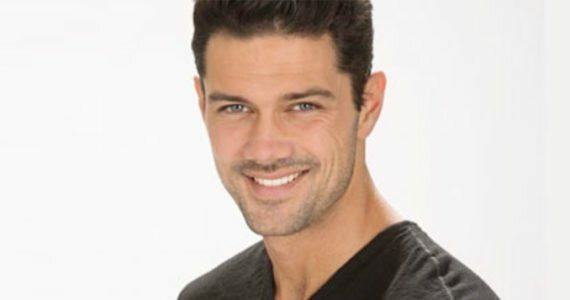 As General Hospital fans know, Matt Cohen exited his role as Dr. Griffin Munro last week, but what viewers may not know is the actor also bid adieu to another beloved series. While the two situations are different, it doesn’t make Cohen’s emotions any less raw. Along with saying farewell to Griffin, Cohen also said goodbye to Supernatural. The CW series starring Winchester brothers Sam (Jared Padalecki) and Dean (Jensen Ackles) is going to end next year after 15 seasons. Cohen played young John Winchester on Supernatural in three episodes that aired in 2008, 2010, and 2015. As an older man, John is played by Jeffrey Dean Morgan. Fortunately, fans may not have seen the last of either Dr. Munro or young John Winchester. Cohen has said the door is open for a return to Port Charles and it’s possible that he could visit Supernatural next year in the show’s final season. Soap Hub will keep viewers apprised of Cohen’s next career move.